Naomi Kibble found her perfect business idea when she wondered why you couldn’t enjoy a decent cocktail at home when it was so easy to get one in a bar. From that flash of inspiration, the revolutionary concept of ROCKTAILS® was born – crushed ice cocktails sold in pouches that you store in the freezer. 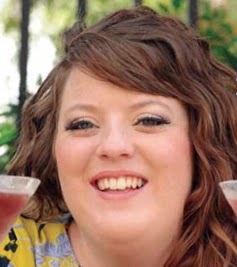 She set up the company with fellow graduate Helen McAvoy and started selling frozen, pre-mixed cocktails in 2011. Two of their flavoured cocktails – Raspberry and Pulsed Pear and Passionfruit and Pineapple Fusion – are now on sale in Sainsbury’s stores nation-wide. ROCKTAILS® started life from the ground floor of their shared house in Cardiff – but it was the Company Programme that first sparked Naomi’s desire to pursue a career in business. “Young Enterprise really did plant the seed for me,” she said. “I really attribute the time I spent on the scheme to where I am now. “The biggest value for me was working with the business mentors. They taught me a lot of things and one of them is now a very good friend of mine. “It really opened my eyes to the fact that you could be a bit cheeky. Naomi said she had no interest in going into business before she took part in Young Enterprise. “I always say I fell into it,” she said. “I was an extra-curricular junkie but I don’t think I realised what I was getting into when I agreed to do the Company Programme. “Then I put my hand up to be the MD and that’s where it started really. “I didn’t really understand what business was before that but it opened up my eyes and was the reason I went to university to study business. Naomi said she would encourage any young person who dreamed of owning their own business to take part in the Company Programme. “I had to really pull the team along and sometimes I’d be thinking ‘what am I doing this for?’ but it had a massive influence on what I went on to do,” she said. It’s fantastic to hear of a programme which has such a fundamental impact on young people’s lives. Delighted to hear what you have achieved Naomi.